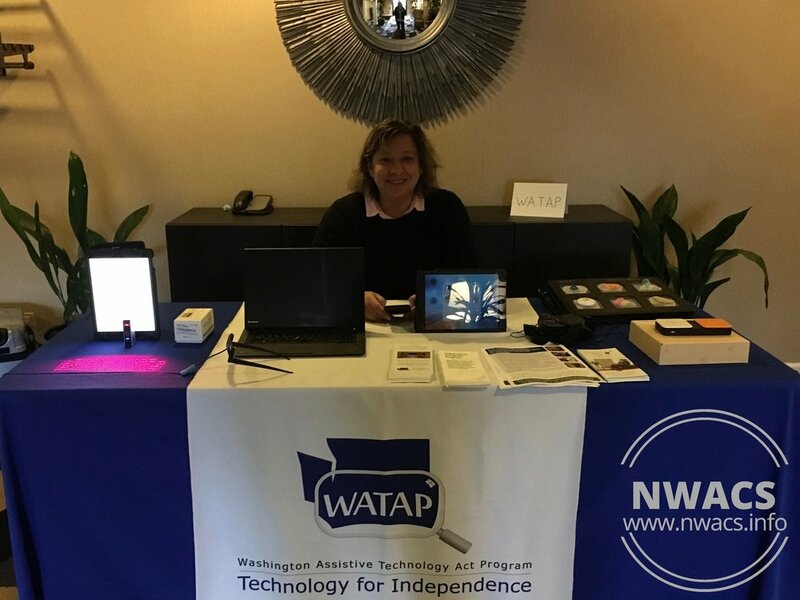 October 20, 2018 was the Northwest Augmentative Communication Society's (NWACS) annual Fall Conference. Every year, we invite a speaker to come present on a topic relevant to working with individuals with complex communication needs. About the topic: Students with complex motor and communication needs are often provided with AAC systems that meet basic needs or are designed for use in specific activities. The vocabulary selected often focuses on “concrete” and context-specific words because it is assumed that these words are “easy” and meet the communication needs of these students. An alternative approach is to emphasize core vocabulary words instead of context-specific words; and to replace context-specific AAC systems with AAC systems with a set of easily accessible core vocabulary words that can be used across all environments and with all communication partners. Gail’s presentation focused on how to create core vocabulary environments. POWER:AAC Modules: According to the Pennsylvania Training and Technical Assistance Network (PaTTAN) website, POWER AAC is “a training series developed by PaTTAN with Gail Van Tatenhove, CCC-SLP. Gail, a speech-language pathologist with over thirty years of experience in the field of augmentative and alternative communication (AAC), has collaborated with AAC practitioners in Pennsylvania intermediate units over the course of several years on this project. The result is this series of brief modules, which can be used for professional development by individuals or groups who are supporting students with complex communication needs and who need or use AAC.” Gail made a point to say that much of what she was going to cover at the NWACS conference was included in the free POWER:AAC modules (there are 12) – and to direct anyone who was not able to attend this year’s NWACS conference to them. So go watch the POWER:AAC Modules! Gail shared about, and frequently used communication boards from to demonstrate, the Pixon Project Kit. TIP from Gail: the kit will be completely free in a couple months! The Minspeak website is currently getting an overhaul, but keep an eye on it. Gail shared an incredible amount of history, information, resources, and ideas! Check out her website for even more. We will add some of the top takeaways shared by attendees in the comments below. If you attended NWACS2018, what key point(s) from the conference would you share with other team members? Would you like to provide suggestions for future NWACS conferences and help guide future decisions? Help us improve by taking our 2018 Survey. Thank you!